Growing your ecommerce company in today’s digital environment takes more than balancing the art and science of growth. I like to say it takes heart and science. And that’s exactly what we implement at Boxed. Boxed has grown from a small start-up into a $100+ million brand in about five years. The company is an online wholesale retailer that sells in bulk without requiring customers to pay club membership fees. As a result of that model, we often get compared to Costco. As the CMO of Boxed, I like that comparison because Costco is a great brand that has built an amazing business. But the comparison isn’t entirely accurate. Costco’s model is a little different and has been built for a different generation of shopper. Unlike Costco, Boxed isn’t a membership service. We’re à la carte. That means that customers can buy anything they want, at any time, with no membership fees. Another way we are different is that Boxed is a mission-driven brand that stands for things like giving back to our community and our employees, which tends to especially resonate with Gen Xers, millennials, and even younger generations of shoppers. In this day and age, people want to spend money with brands that they really believe in, that are dedicated to more than just making a profit. So, while Costco is a wonderful brand, what we’re building is a little different. In fact, in many ways we’re not even competing with Costco. No ability to get there, or just don’t live close enough to one of their stores. For many people, we actually end up becoming an alternative to Costco; and in some ways we’re an alternative, and a complement, to Amazon as well. In fact, this focus on exactly who our customer base is and how they shop has been integral to our online strategy and our growth. This is the science of scaling a startup. Here’s how I lead my team to think through it. Fast-scaling businesses use metris dashboards to guide their meetings and decision making – taking gut preference out of the process in favor of data-driven results. Use this dashboard to see the same results for your brand. Get your free template now. Losing focus is a surefire way to become extinct in our highly competitive online marketplace. To make sure that isn’t an option at Boxed, we specifically wanted to be laser-focused on what we specialize in. From the get-go, we knew we had a huge opportunity to become the premier online retailer for buying in bulk. So, we did some research and found that over 70% of our customers are also Amazon Prime members. What that told us is that people are comfortable with using Prime to buy their shampoo, for example, and then going back five hours later because they forgot shoes for their daughter, and then going back again six hours later to buy a gift for someone. Each time they’re in and out quickly. Our business model, on the other hand, is really about basket-building. A customer may spend 30 minutes over three days—either by themselves or with their significant other—figuring out what they need to stock up on. In fact, they’ll typically buy eight to ten items per checkout. If they were to buy the same ten items on Amazon, they would have at least three pages of options to choose from and once ordered it would be delivered over the course of four days, in several different boxes…and it would most likely be more expensive. But when people order from Boxed they get those ten items delivered in one box and in two days—sometimes one day. Our constant focus on delivering an amazing bulk shopping experience that differentiates from everyone—even Amazon—has been integral to our growth. After all, half of the battle of competing with Amazon is really about owning who you are and finding your niche. Consider the example of Dollar Shave Club, which did a great job of finding and controlling a niche. It sounds so simple: buy cheap razors online and have them delivered to your door. While there’s no reason you couldn’t figure that out through Amazon, it’s not like Amazon is also trying to get into the razor business. Dollar Shave Club saw that there was an opportunity to capitalize on that niche, and they owned it. They branded it and created a great experience, and now many other brands are trying to do the same thing. People are open to shopping for many categories and products in a niche way. Part of the challenge is embracing the fact that Amazon is actually a really good thing—the company has helped break down barriers of how people think about shopping and what can be delivered to your door. Boxed actually sees Amazon as a complementary service. We appreciate their many innovations and dedication to providing a world-class customer experience. We’re built from the same mold. Ecommerce companies have access to an immense amount of valuable customer data. The secret is figuring out how to analyze and leverage it to engage the right customers in the right ways at the right time—and on the right channel. Boxed works with third-party data research firms to identify the best ways to segment customers. They help us understand how our customers shop, how old they are, their household income, where they live, and many other data points we use to connect with them in a meaningful way. Ultimately, the data helps us understand what our best customers look like. The data informs everything we do, including how we approach technology, merchandising, product selection, abandoned cart triggers, email outreach, and social media. Data is your secret weapon in online selling, but it can also lead to paralysis by analysis if you don’t properly test the data you’re collecting. Being smart about data is critical because most ecommerce startups don’t have the resources, money, people, or tools to waste on large marketing campaigns. Before you can scale out a campaign, you need to know it’s going to work, so using data to perform strategic tests can help you discover whether it’s worth scaling and investing in a particular opportunity. We constantly evaluate data through A/B testing to validate both the data itself and our hunches about our audience. When you’re A/B testing, a good rule of thumb is to not overthink it. You don’t want to change more than one thing so you can isolate what’s working and what’s not. Data is incredibly important but achieving ecommerce success takes instinct and heart. In this day and age, brands have to have heart. Your heart represents what your values are as a business and a leadership team. The heart of it defines what’s meaningful to you and dictates what values you want to promote to your customers. For us, heart means giving people opportunity who otherwise wouldn’t have it. Millennials are moving toward a desire for more transparent brands—brands that stand for something. They want to buy things that have a purpose beyond the item they’re purchasing. While most people won’t pay 50% more for a product just because they believe in the brand, if it’s a 10% difference many people will choose the brand that supports their values and a higher purpose—one that is led by people that reflect and represent them. Whether it’s supporting an environmental cause or diversity of opinion, culture, race, gender, or religion, today’s consumer—especially the younger ones—really want to support socially conscious companies. I’ve never seen this kind of crescendo moment where so many consumers expect brands to stand for something larger than a profit. Having good values, being consistent with them, effectively communicating them to your customers, and treating your employees as you would your customers is going to be crucial for ecommerce companies going forward. Have a heart, be smart with the science, and give your customers a reason to support you that goes beyond great products and services. 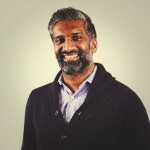 Jackson Jeyanayagam is the Chief Marketing Officer for Boxed.com, leading all marketing efforts for the fast-growing ecommerce start-up. Previously, Jackson was Head of Digital for Chipotle, responsible for leading all digital marketing efforts including mobile, content, social media, CRM and analytics. In his prior role, Jackson was SVP, Digital Strategy at Taylor where he built and oversaw the digital marketing practice group and supported a number of brands including Diageo, P&G, Nestle, Jordan Brand, NASCAR, Starwood, 3M and Capital One.